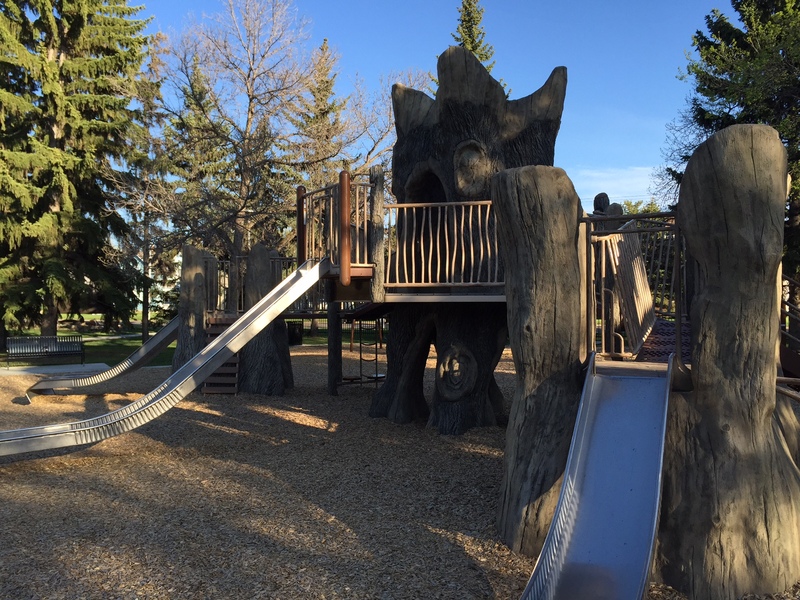 Get out and explore Edmonton's playgrounds today! Your kids will love all the options from nautical and nature themes to splash parks and zip-lines! 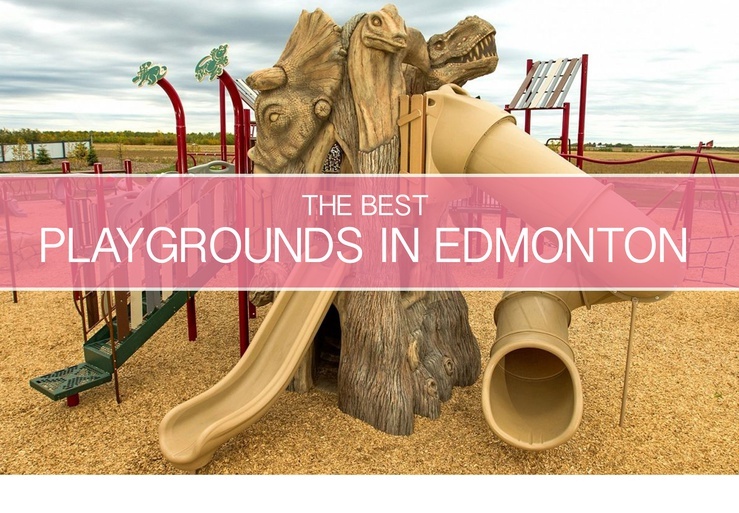 Edmonton boasts several playgrounds with fun themes and activities for kids of all ages. 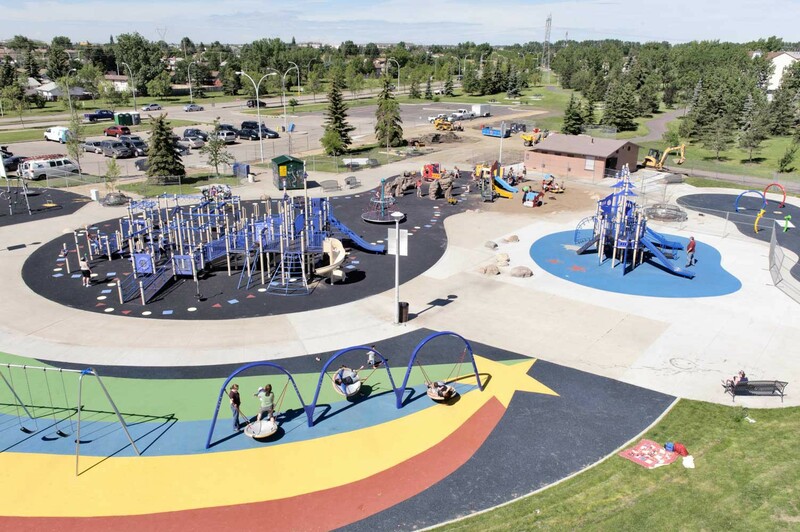 Whether you are looking for water play, climbing, slides or swings, Edmonton has lots of options for family fun. 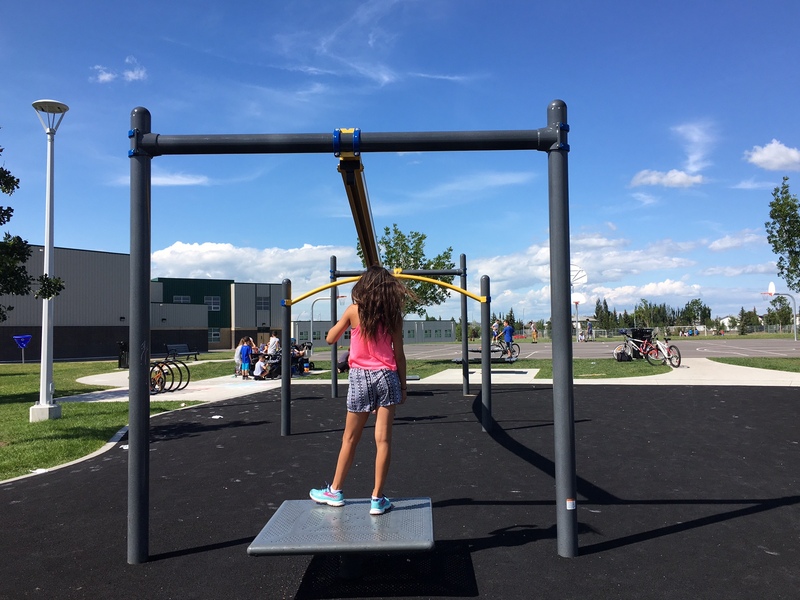 The Greenfield School Playground and the Greenfield Community Playground are two family favourites. At the Greenfield School playground you will find a world of fun for your little climber including cool suspended climbing rings! This one will require a bit more supervision and spotting for your toddler but will build confidence and strength! Across the field from the Greenfield School playground is the Greenfield Community playground at the community association. 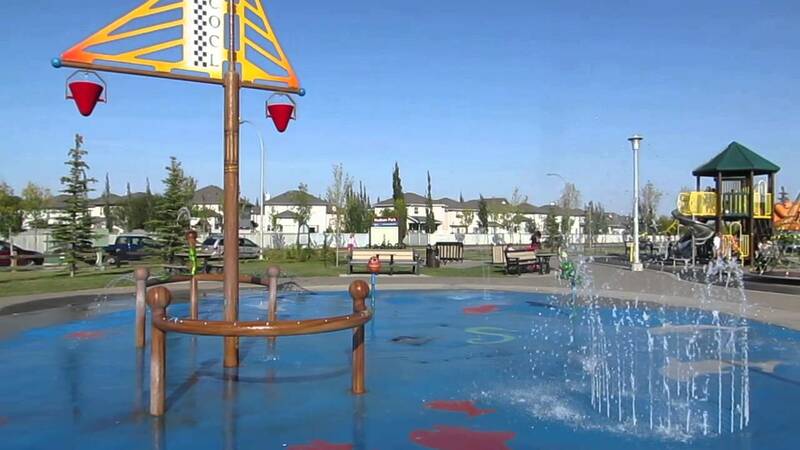 This park has also been highly reviewed by local families and is a favorite due to the adjacent free spray park. The spray park includes colorful dragon fountains and waterfall features that are sure to please in the summer months. 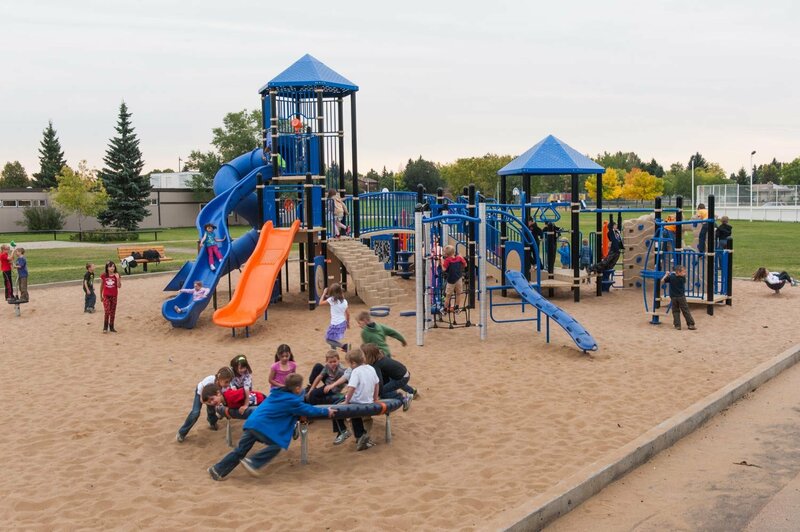 The Castle Downs Playground is the largest playground in Edmonton. 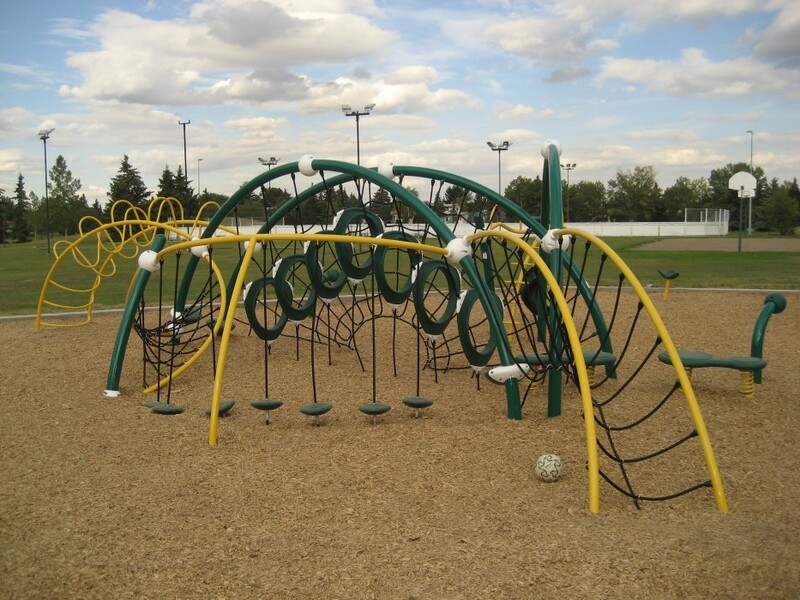 This playground features fun for the whole family with two nautical themed climbers, rock climbers, swings, and an area for sand play. 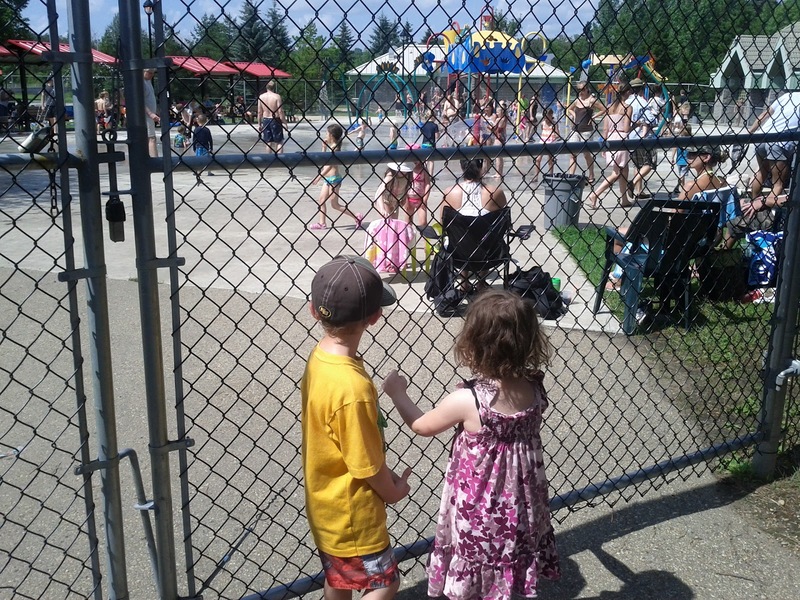 In addition, there is a spray park to cool off in the summer months and a nearby skate park. Hudson Park has a large spinning rope climbing feature and a big orange fish connecting two large climbers. There is also a small adjacent spray park for the kiddos and a gazebo. The brand new Sherwood Park has a nautical theme with a ship climber, a ocean wave sea-saw and a giant three slide feature! There is even a sea-themed spray park for the family to cool off. 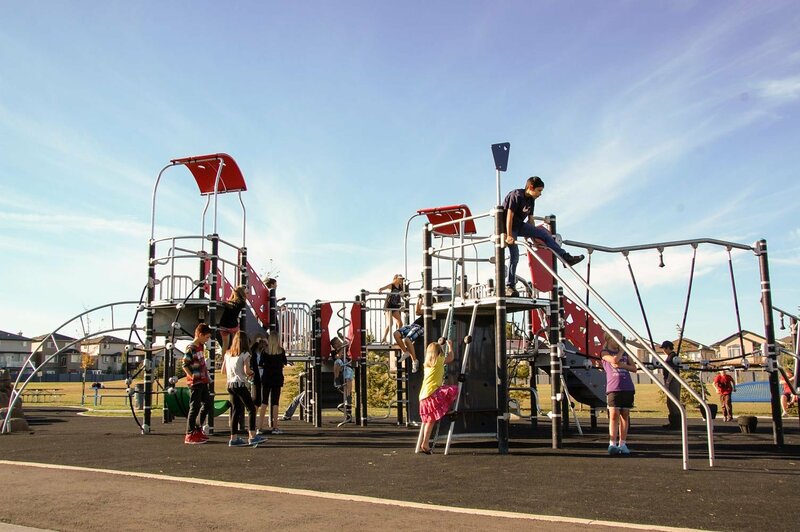 For a smaller park with fun giant slides, try the Brentwood School Playground. 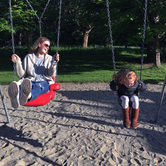 There are also saucer swings for bigger kids and lots of opportunities for climbing. Make sure to pack your sand toys as there is an area to for sand play. For some messy interactive play, try Tubby Bateman Park. This park is smaller but has an awesome sand and running water play area. You will all need a change of clothes but the mess is worth the fun! There is also an art installation and climbing equipment at this park. 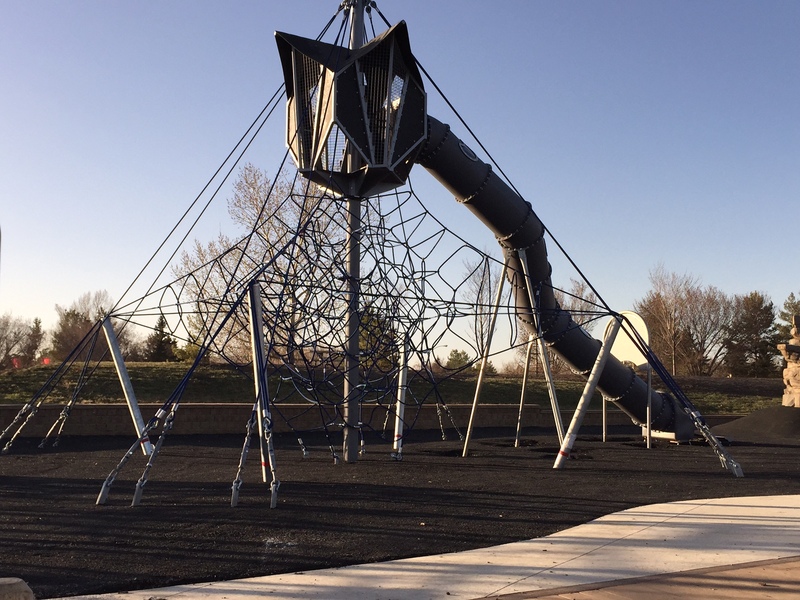 If you are traveling with a stroller or family member in a wheelchair, the Brintell Park Playground is a good option as it has accessible flooring throughout the park. One portion of the playground is geared for young pre-schoolers while another section has a fun climbing space for older kiddos. If you are in the mood for a tricycle ride around the park, check out the Eaux Claires Playground. The adorable little bike riding track is perfect for little bikers. This playground features a firefighter and police theme with an ATM and a jail for playing pretend. In addition, there is a rock climbing ramp, a tall slide and a fun toddler climber. This park also has accessible flooring to accommodate your needs. For the insect lover in your family, try the Elizabeth Finch School Playground. The insect theme includes caterpillar-like tunnels, a geometric honeycomb climber, and a dragon fly wing bouncer. Another local nature themed park is the Woodlands Water Play Park and Playground. The park is nestled in mature tree to give it a forested feel. 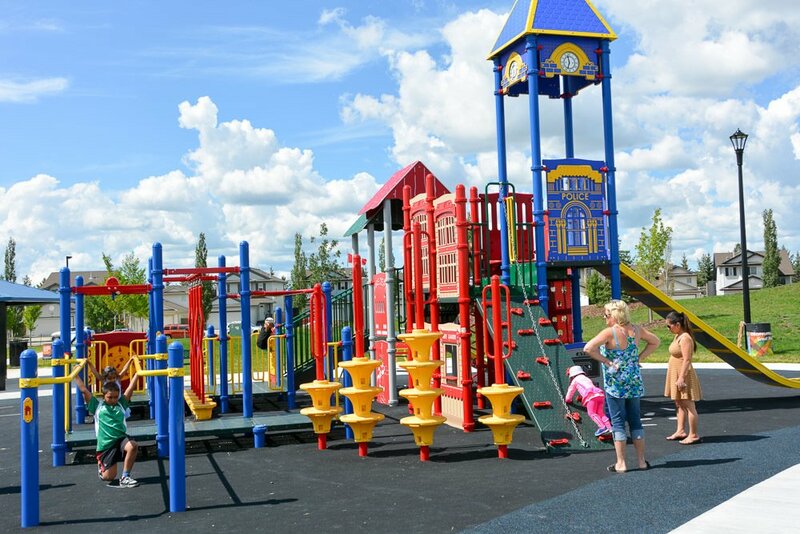 The spray park is next to the playground and the playground has tall spiral slides for big kids and lots of ramps to run on with small slides for your young toddler. The Borden Park Playground feels like a treehouse with a tree trunk theme and surrounded by green space and trees. Right around the corner from this park is a large outdoor public pool so you can get the wiggles out on the playground then cool off nearby with a swim. 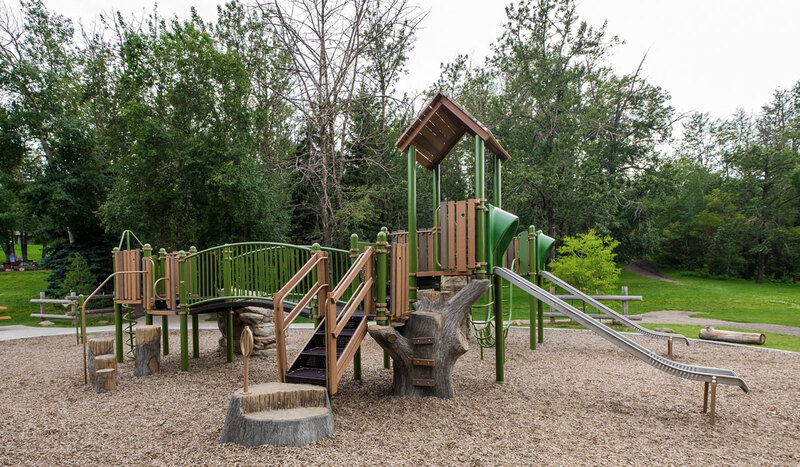 The Kinsmen Grizzly Bear Lodge Playground has the feel of being out in the woods. 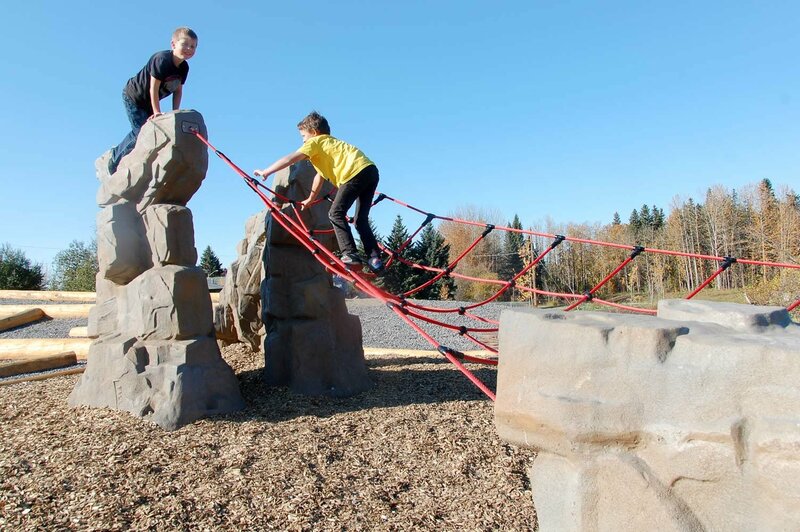 There is a Grizzly bear climber, rocks, caves and climbing rope features. There are four park areas to explore and don't forget to enjoy the breathtaking view of the city! 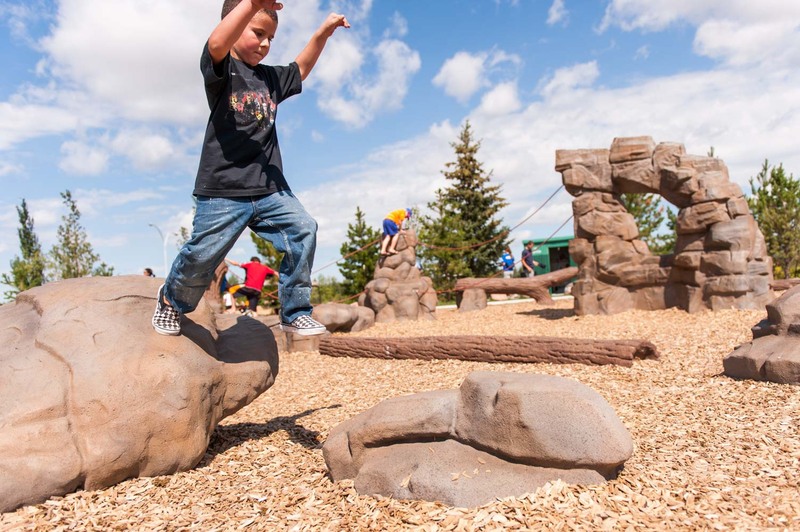 For a mining themed natural playground, check out the Spruce Grove Natural Playground. 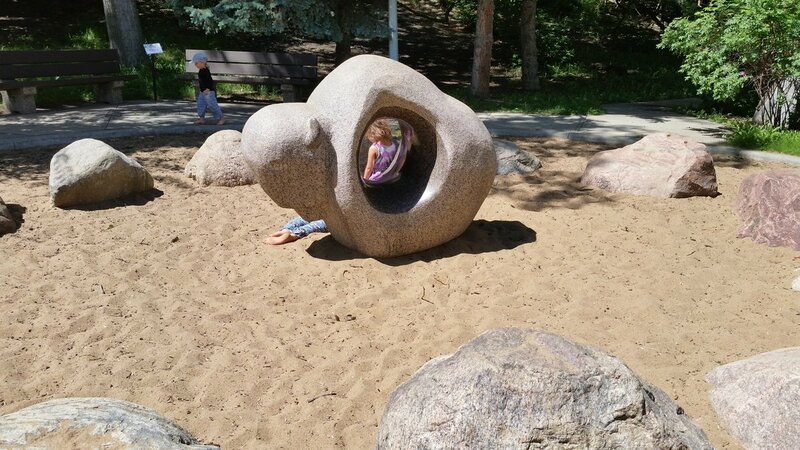 This playground is built into a hill and has a rock and rope climber. If you little ones prefer the natural world, they will love climbing on the logs and rocks here. The massive Jackie Parker Playground is a maze of rock and log features with a nearby splashpad. This park is a great place for playing tag or hide-and-go seek! Your little runner/climber will love this space. 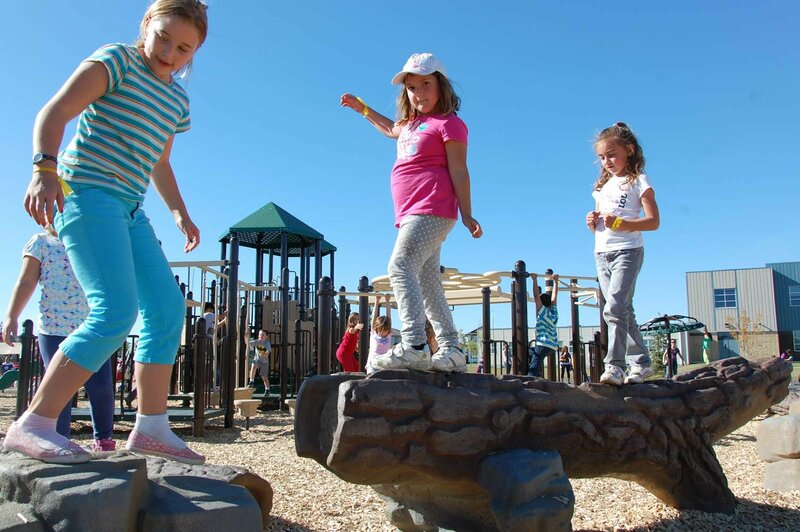 For a thrilling experience for your little ones, try the Florence Hallock School Playground. This playground has a tree house theme with a zipline! This park also has mostly accessible flooring. For more zipline excitement, try the Meadowview Dinosaur Playground. 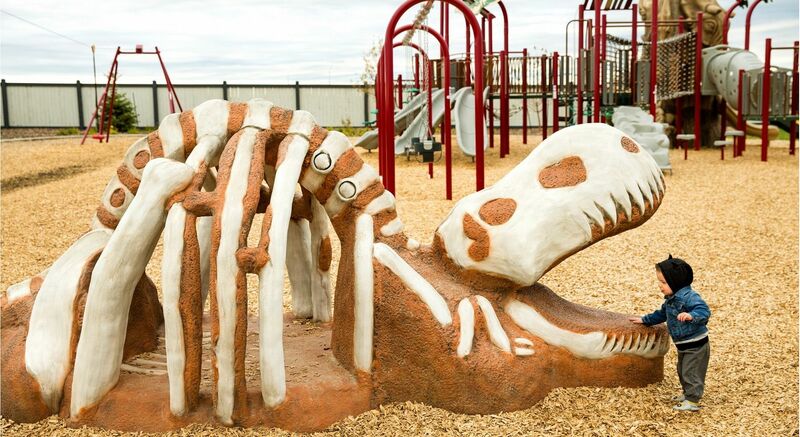 In commemoration of the hadrosaur skeleton found near Leduc, you will find cool dinosaur carvings on the play area. The playground also has a tube slide and rope walking feature. 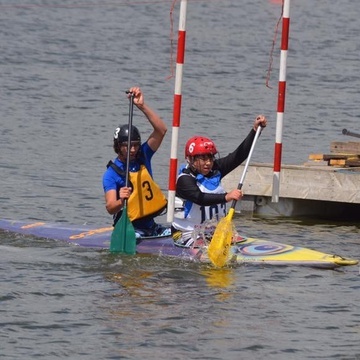 Looking for other cool things to do with your kids in Edmonton?  Check out our Events section for free community events & festivals!